Once again the pages of The Strategist are filled with a vigorous discussion of the future shape of Australia’s amphibious capability. It’s a debate well worth having, because the decisions that are made will potentially drive major procurements and/or restructuring of the joint command and control arrangements of the ADF. But I’ve had my say on those issues (here and here), so I’m not going to add more to that debate—at least for now. But I’m struck by the criticism of Hugh White’s position that it’s revisiting decisions already made. The argument goes along the lines that billions have been spent and the LHDs are nearing delivery, so we should be talking about other acquisition decisions yet to be made. Well, yes and no. Yes, we should be looking forward rather than backwards. But, no, that doesn’t mean we ignore current or imminent equipment when discussing the future force. It’s a truism that any decision made today about capability tomorrow should ignore all prior costs—the only thing that matters for investment decisions are future costs and benefits. That simple observation isn’t always appreciated. In fact, the persistence of the belief that the costs already incurred matter when weighing future steps has a name—it’s called the ‘sunk cost fallacy’. It usually manifests itself in an unwillingness of decision makers to accept that their previous decisions were poor ones and can, in the worst cases, lead to further investment in pursuits that are already proven losers in the hope of recouping some of the money, time, or emotional investment already outlaid. But usually those past costs can’t be recouped in any case, and further investment only exacerbates the situation. That’s why the sunk cost fallacy is also known as ‘throwing good money after bad’. In extreme cases it leads governments to waste very large amounts of taxpayer’s money by continuing with acquisitions long after it has become clear that the future costs will far outweigh any future benefits. One of the most egregious examples is the development of the Concorde supersonic transport aircraft at a total cost far in excess of the initial predictions and which was persevered with long after it became clear that there was no hope turning a profit on the venture. It’s such a clear case of the sunk-cost fallacy that ‘Concorde fallacy‘ is now a synonym. In truth, most people have trouble cutting their losses, and we all have a tendency to overvalue avoiding losses compared to pursuing gains. Thus people end up hanging onto to underperforming investments, committing additional resources to failing military campaigns, playing video games that aren’t really that much fun, sitting right through movies they don’t like or pursuing any number of other counterproductive activities. If it’s any consolation, it seems that we mightn’t be alone—apparently there’s a case to be made that the humble savannah sparrow makes the same cognitive error when deciding whether to change the position of its nest when circumstances change. 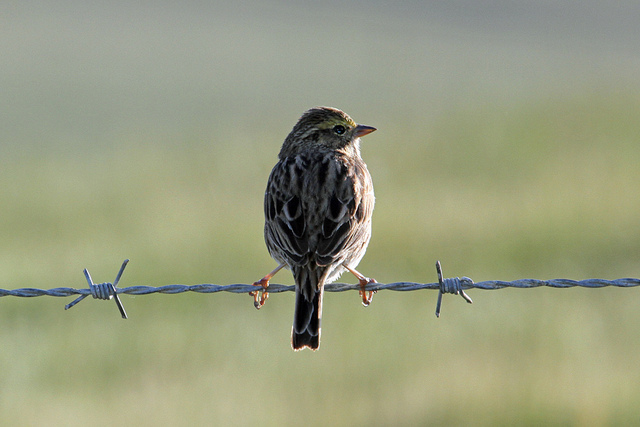 As goes the savannah sparrow, so perhaps do those in charge of determining the ADF’s future force structure. The gold standard for decision making is to ignore the sometimes billions of dollars already spent and look only to the future. In the case of the amphibious capability, if Hugh is right, then it might well be the rational thing to do to stop work today on the LHDs, recoup what we can by selling off what we have, and then investing in a number of smaller ships as per his prescription. Lest that sound totally bonkers (after all, we’ve already spend a couple of billion…), here’s what the cost-benefit calculation would look like for such a deliberation. The future cost of the LHDs is whatever it would cost to finish their construction and deliver them into service plus the cost of crewing, operating and maintaining them over their lifetime. The total future cost is likely to be several times the costs accrued to date. The future benefits they bring will be the mission effects that the ships and the embarked forces can deliver. Set against the LHD future costs and benefits should be the total acquisition and through life costs of alternative fleets, and the benefits of the mission effects they could deliver. If there are a few more bargains like HMAS Choules (née RFA Largs Bay) going, this could in fact be a credible option. I don’t for a moment think that’s going to happen. But in a world of purely rational defence decision making, we’d be reviewing our acquisition plans periodically—and putting down projects that are poorly performing or which have been overtaken by strategic or market developments with greater regularity. Andrew Davies is a senior analyst for defence capability at ASPI and executive editor of The Strategist. Image courtesy of Flickr user Jaime Chavez. 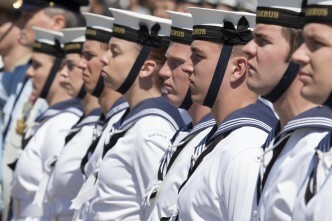 What's the best kind of Navy for us?